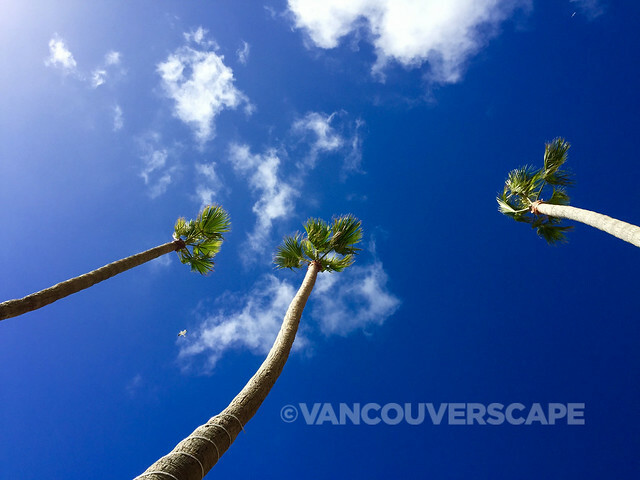 With a mild year-round climate and miles of beaches, Laguna Beach makes for a great winter getaway destination. The city’s located in the heart of Orange County, south of Los Angeles, north of San Diego. 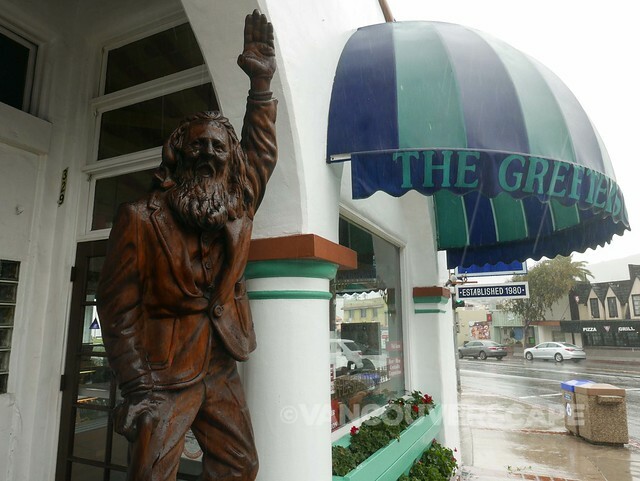 It’s easily reachable by flying into John Wayne Airport (and a 25 km/16 mile drive), so we thought it would make an ideal “if the weather’s not working for you, move down the coast” escape. Arts and culture lovers should take note: for a town of its size, Laguna offers several festivals, from Pageant of the Masters (July 7 to August 31) to Laguna Dance Festival (September 2017) and many more. 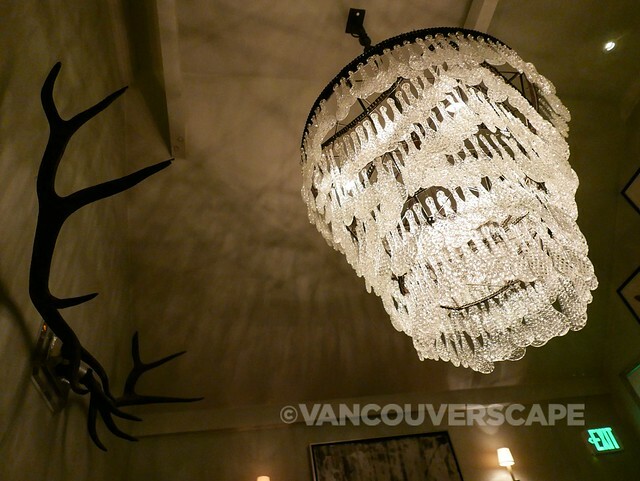 I set out to find some of the town’s hot spots in dining, shopping and spa experiences. 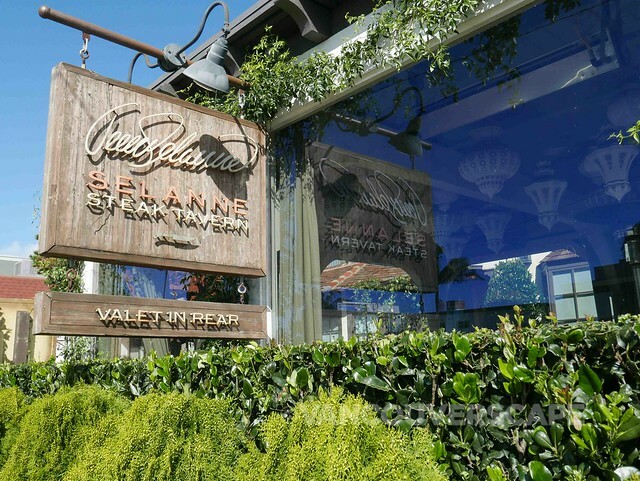 Coming from hockey-centric Canada, it’s little wonder that one of my first stops in town was to Selanne Steak Tavern, co-owned by the Finnish Flash himself. Entering through a hand-carved wooden door into the two-level restaurant off South Coast Highway (at 1464) brings you to a cozy and historic 1934 home with beautiful interior touches focusing on beachfront history. Zinc-topped tables, leather-clad banquettes and French-bistro style wood chairs add to the rich ambiance. And yes, Teemu’s Olympic medals are proudly displayed in glass near the marble and oak bar, another centerpiece of the popular eatery. 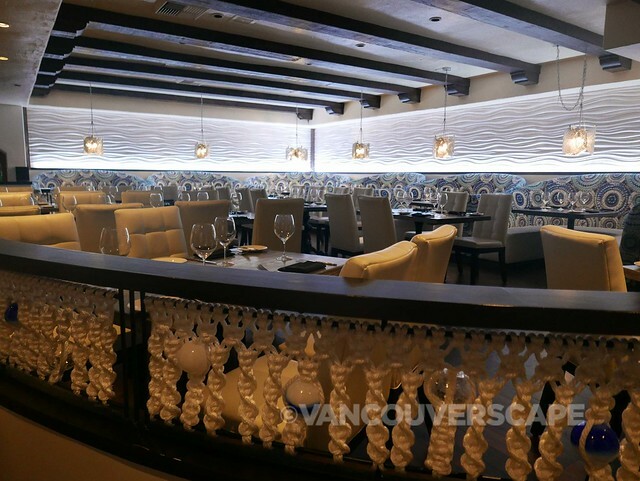 On offer are several cuts of succulent steaks (Angus Filet Mignon, Flat Iron 8-ounce Wagyu, Rib Eye 14-ounce Prime, signature Lord Stanley Cut 38-ounce Wagyu), a few seafood options and poultry. Meats and fish are sourced from local farms and fisheries as the tavern supports sustainable products. 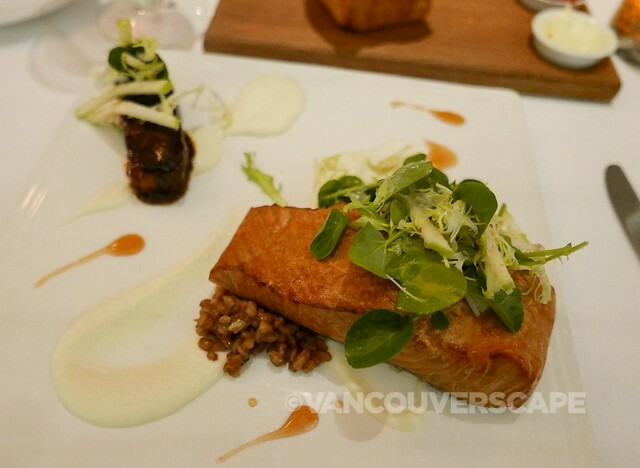 While I didn’t have room to indulge in Selanne’s Mac ’n’ Cheese, a five-cheese fondue with a brioche crumb topping, I did order a gorgeous plate of alderwood-smoked Vancouver Island Skuna Bay Salmon with farro, celeriac and pork belly. After getting a whiff of this dish at a nearby table, I knew right away what I’d be ordering. A glass of 2013 Anderson Valley Goldeneye Pinot Noir was a wonderful companion to this dish. The upstairs seating area where I dined contains a wall-to-wall wine cellar hosting 500 bottles. The selection is Napa-focused but expands to include pours from around the globe. Dessert wines, champagnes, reds, whites, ports — plus a well-endowed list of cocktails, craft beer (Selanne on tap) and spirits should satisfy just about every taste and compliment every dish. 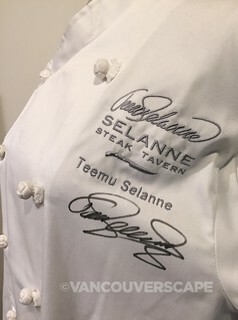 Loyal #8 fans should head next door to the TS Gourmet Shoppe for signed Teemu Aufeis pucks, Finnish Flash t-shirts and other apparel, as well as Selanne Moscow Mule mugs and signed chef jackets. If you’re locally-based, you may want to pick up a portion of aged prime meat cut to order by Chef Joshua Severson and his butchering team. There’s even Edible Canada’s Amola gourmet salt collection on the shelves. The Loft at luxury resort Montage Laguna Beach commands a beautiful view over the Pacific, Chef de Cuisine Michael Campbell and staff working closely with local farmers and suppliers in creating inventive seasonal menus. 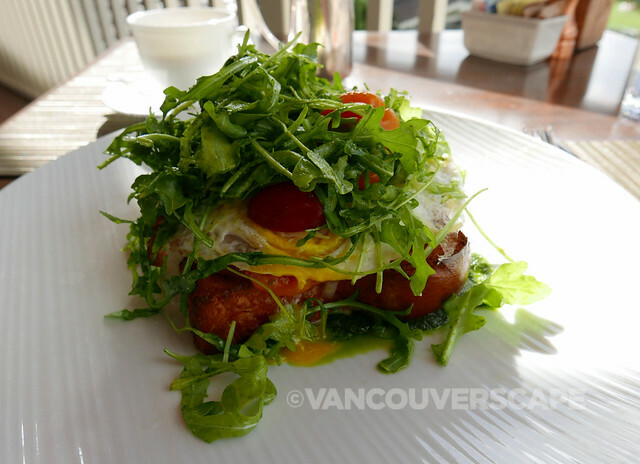 I dined here for weekend breakfast and was spoiled with Parma eggs, where a thick slice of truffle brioche is heaped with fried eggs, crispy proscuitto, heirloom tomatoes and fresh greens. 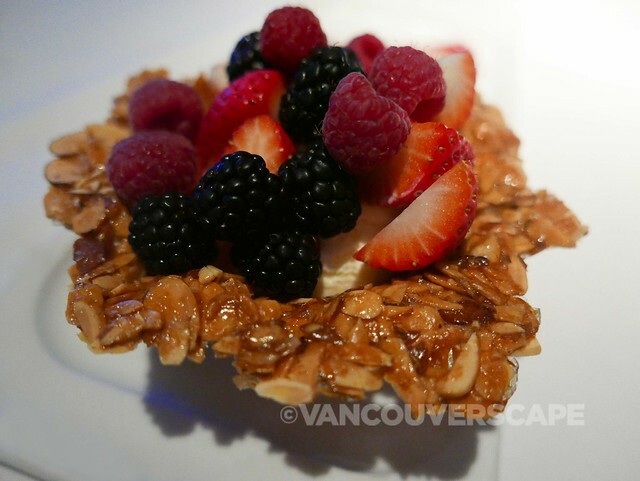 Other choices include build-your-own benedict (including lobster), Bananas Foster waffle with peanut butter cream and salted peanuts and apple and mascarpone crepes accompanied by vanilla and bourbon caramel and candied pecans. Located at 30801 South Coast Highway, The Loft is open for brunch, morning dessert, lunch, dinner, bistro and evening dessert services. At 619 Sleepy Hollow Lane off South Coast Highway sits one of the town’s busiest and best-loved eateries, Driftwood Kitchen. Austrian-born Executive Chef Rainer Schwarz prepares elevated comfort food in a rustic, white-walled space with windows all around for enjoying ocean views. It feels quintessentially Laguna Beach to me: laid-back, smartly designed and packed with patrons who appreciate great cuisine. 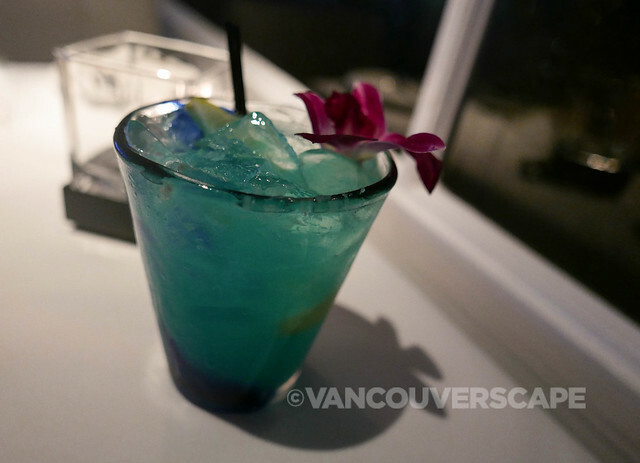 Separated by a few steps and rustic shutters is the Stateroom Bar, its focus on handcrafted cocktails and fine spirits. When the bar wants to function as an entertainment space, staff simply close the shutters leading into the restaurant. 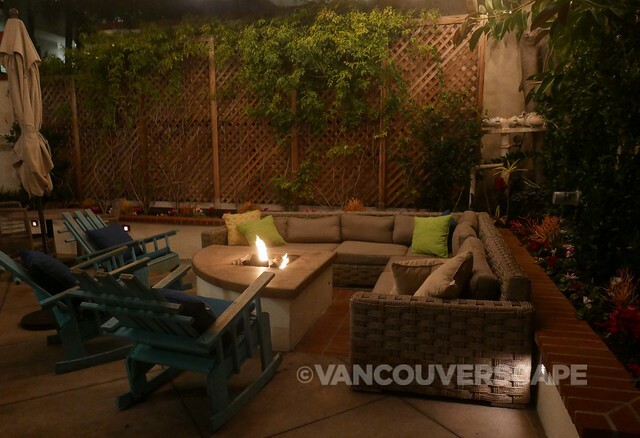 A outdoor patio and fire pit out front create cozy summer dining seating as do the outdoor tables facing the ocean (without heat lamps, they remained empty on this cool January night). The restaurant is situated where Hollywood silent film actor Slim Summerville once had his library; the bar pays homage with old photos on the wall. Driftwood is one of the few Laguna Beach restaurants located right on the water and on the night of my visit, it’s packed with off-season locals (reservations are hard to come by from May through September, thanks to several awards and accolades handed to the team over the past three years they’ve been open). They’ll also be opening a new restaurant in March down in Laguna Niguel, Hendrix. I begin the evening with a few sips of an Old Blue Chair cocktail, created with Blue Chair banana rum, strawberries, lemon sour and basil. A well-rounded drink menu includes an abundance of spirits, international wines and beers (in draft, bottles and cans). There’s even a series of drinks named after legendary Laguna nightspots. A rich and creamy butternut squash soup becomes one of my favourite discoveries together with butternut squash gnocchi in sage brown butter served with pine nuts, caramelized butternut squash, speck and ricotta. Both dishes pair nicely with a glass of Hartford Court Lands Edge Pinot Noir. Steaks, crab cakes, oysters, organic chicken and a few vegetarian options round out a menu focused on local, sustainably-sourced products. 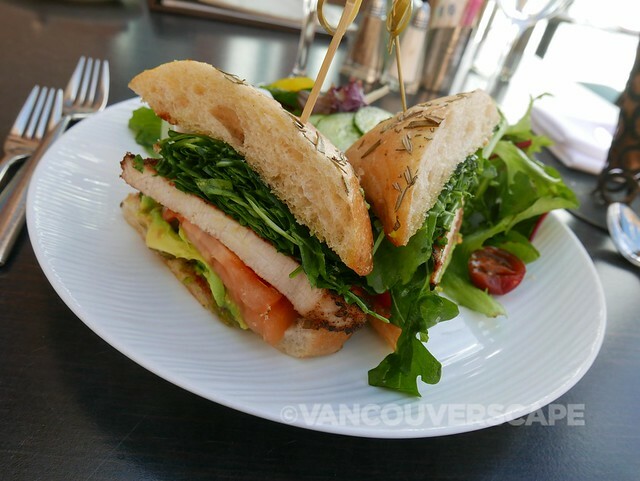 It’s easy to see why this spot fills up — delicious and flavourful dishes presented with flair. 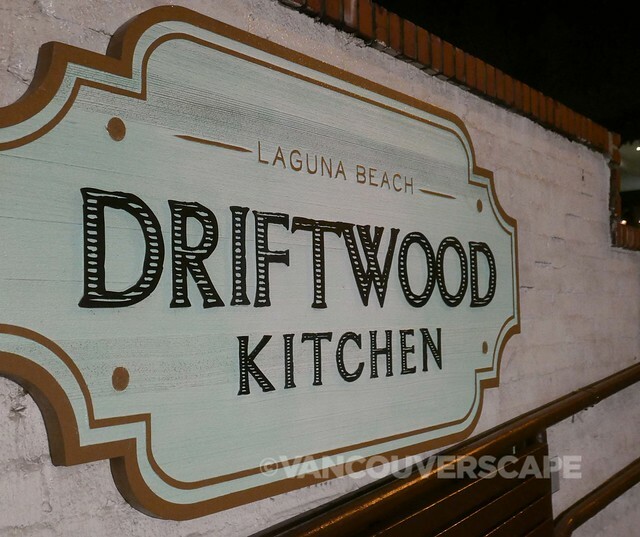 Driftwood Kitchen is open for breakfast, lunch, dinner and weekend brunch. Taste the Mexican Riviera at Laguna Beach’s go-to seaside restaurant, Las Brisas. 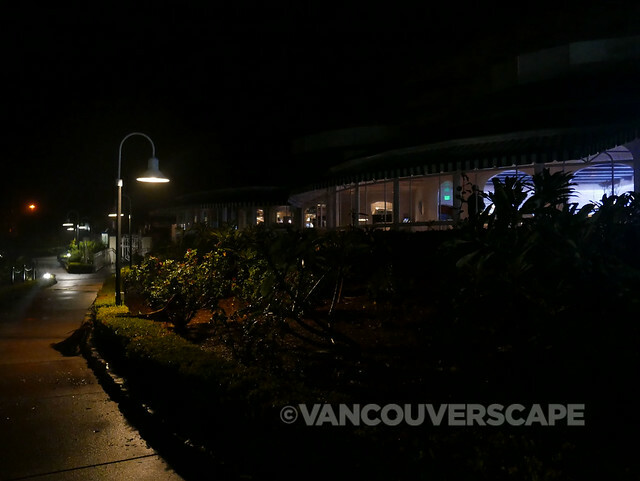 This landmark restaurant, housed in a historic building overlooking Main Beach, has served the area for 38 years. Executive Chef Lawrance Lopez has created a seafood-focused menu with a Mexican influence for three years, promoted from Chef de Cuisine. 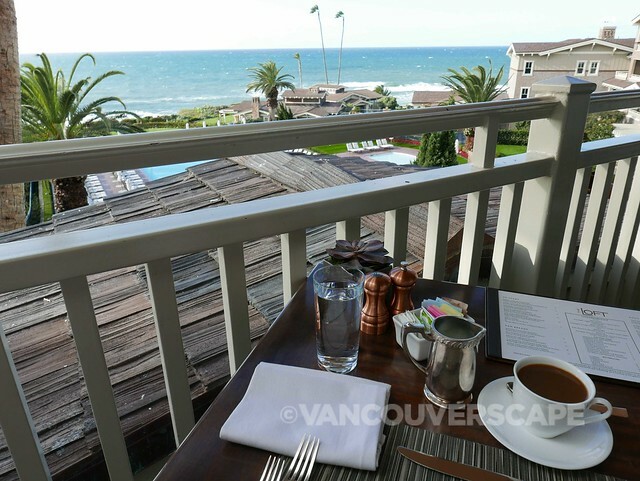 The restaurant has several seating choices, from popular patio to elegant dining rooms with an ocean vibe. Lots of light blue and whites add to the maritime theme. We began our evening with Taste of Las Brisas, a large charcuterie platter perfect for pairing with a glass of red or sparkling wine. 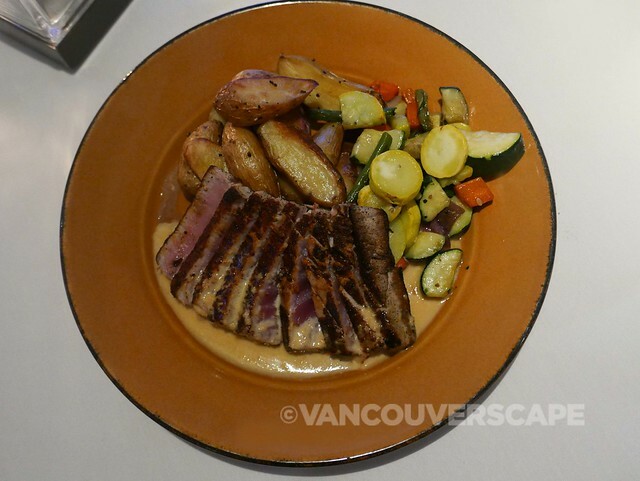 Chile-rubbed Ahi tuna charro features Big-eye tuna in a ginger soy reduction, served with grilled veggies, while Seabass Tomatillo packs a flavourful punch with tomatillos, fresh tomatoes, capers and garlic. Fresh Faroe Islands salmon, Filet Mignon and lobster, Pasta de Mariscos, Snapper Veracruzano are a few of the other tasty options on the menu. Save room for dessert: chef’s crème brûlée and berry and vanilla ice cream tostada are both worthy sweet indulgences to top off a fine meal by the sea. 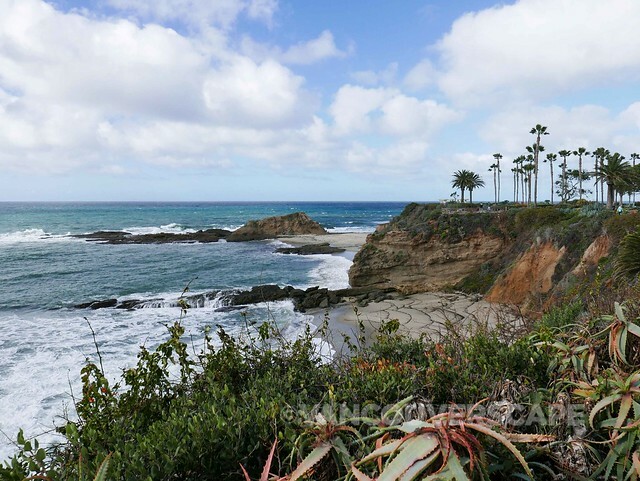 On a sunny day, you can enjoy a walk along Heisler Park. Tip: Laguna Art Museum is right next door at 307 Cliff Drive. Open for breakfast, lunch, dinner and Sunday brunch, Las Brisas is located at 361 Cliff Drive. Valet and metered parking are available; if you’re locally based, consider using the free year-round Laguna Beach Trolley service. Visit Laguna Beach’s iPhone and Android apps contain a live GPS trolley tracker so you can hop on and off while exploring the coastline — cutting down on parking time and meter feeding. For the ultimate afternoon escape, consider a three-course lunch at Splashes Restaurant at Surf and Sand Resort followed by a 60- (or 90) minute massage or facial. Their Aquaterra signature massage is a mix of Swedish and deep tissue therapies and I left feeling rejuvenated and relaxed in one go. The soothing massage oil I chose contains mountain lavender, herbs and arnica oil to relax tense muscles. Start (or finish) with a menu offering healthy salads, grass-fed burgers, sustainably-approved seafood, small share plates and decadent desserts. 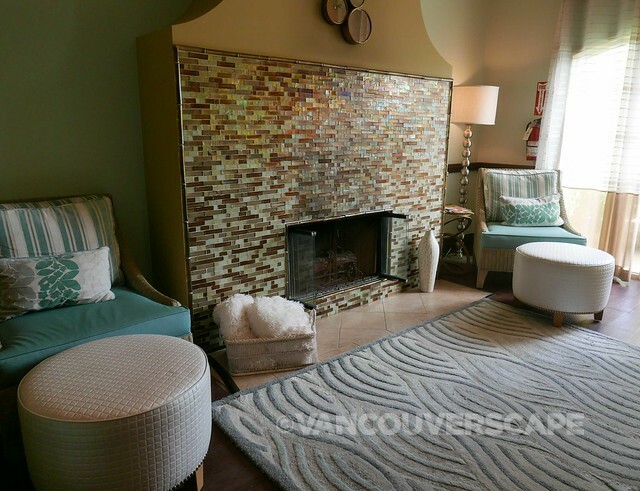 The spa has a unisex lounge with separate whirlpool and steam for men and women. The package is offered seven days a week (Monday to Thursday, $165; Friday to Sunday, $185). Downstairs from Montage Laguna Beach is the gorgeous Treasure Island Beach, filled with arches, naturally-occuring rock formations, tide pools and lots of room for a morning stroll. This is my favourite beach towards the southern end of Laguna. If you’re spending time at Surf & Sand Resort, their beach is also worth a walk along when the tide is on your side. 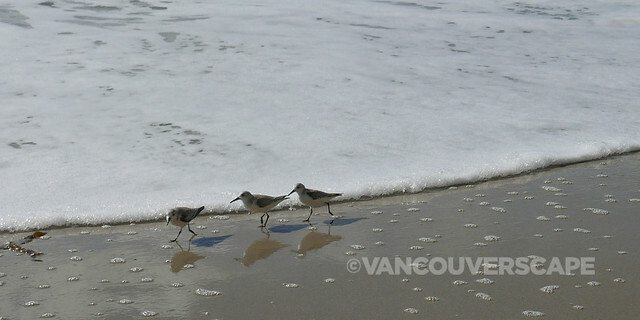 As pelicans fly overhead in formation, tiny sandpipers scurry along the edges of the surf. 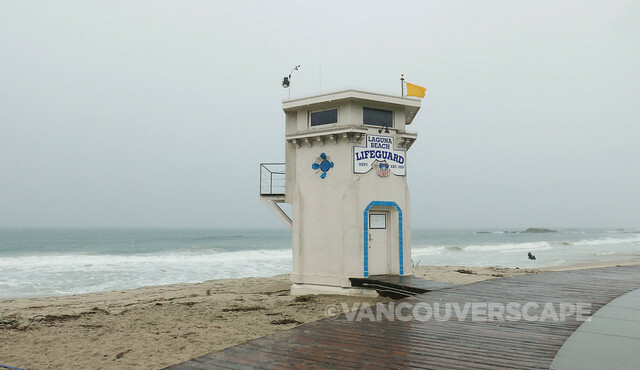 Along the main part of Laguna Beach is iconic Main Beach with its historic lifeguard tower, the most photographed location in Orange County! 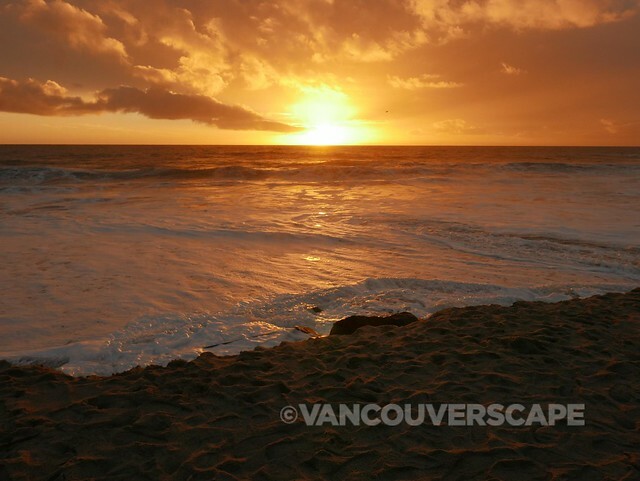 For some amazing sunset photo ops, don’t miss Aliso Creek Beach directly opposite The Ranch at Laguna Beach. 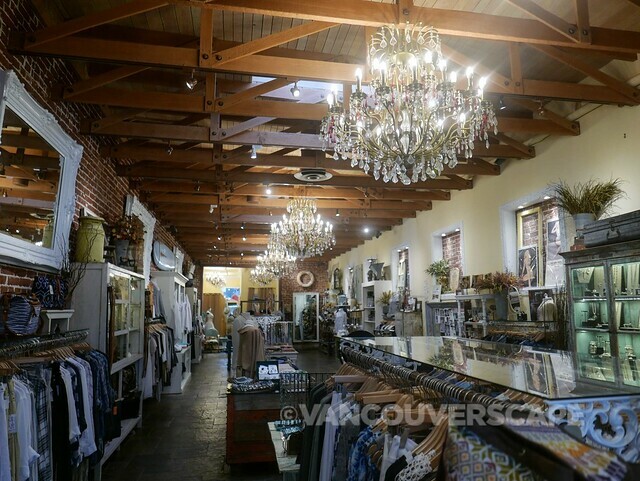 While Laguna Beach is filled with a wonderful collection of shops and boutiques along the stretch of South Coast Highway, Forest and Ocean Avenues are where you’ll get a good dose of retail therapy. 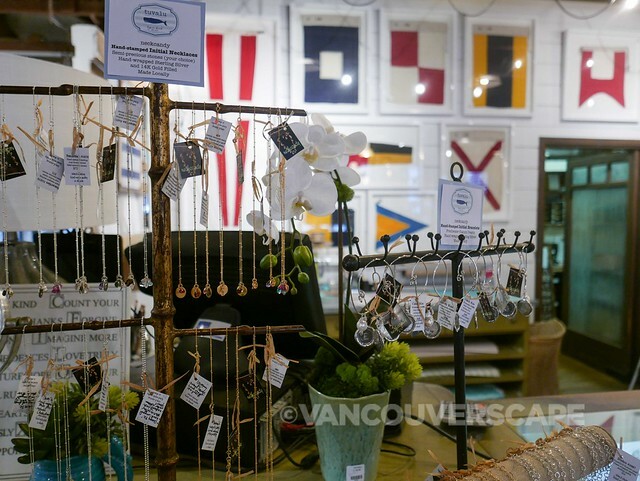 Once you’ve stopped by the town’s landmark, an adorable historic lifeguard tower with turquoise-rimmed door, cross the street and wander through the boutiques, cafés, art galleries, ice cream shops and restaurants in the compact downtown core. I was here during a super rare monsoon-like storm, so heading up the bluffs of Laguna Beach to Heisler Park will have to wait for a return visit. Luckily, I had the chance to explore several beaches the day before and be rewarded with a stunning sunset at Aliso Creek Beach opposite The Ranch at Laguna Beach, where I was based for three nights during my visit. 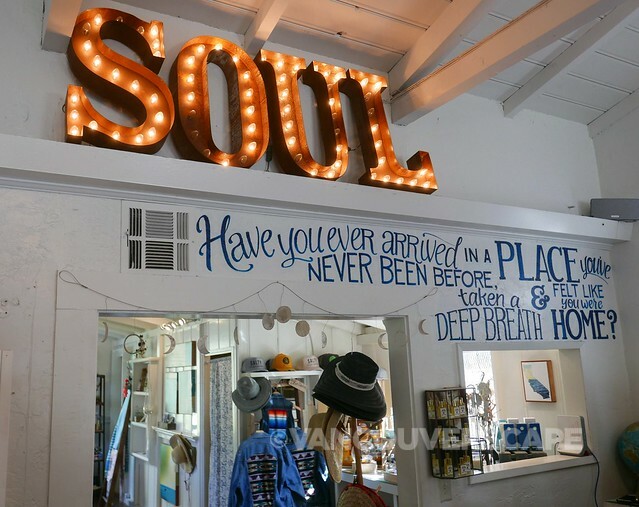 Located in an artist’s cottage, The Soul Project creates their own apparel line for women, men and kids plus a home collection. 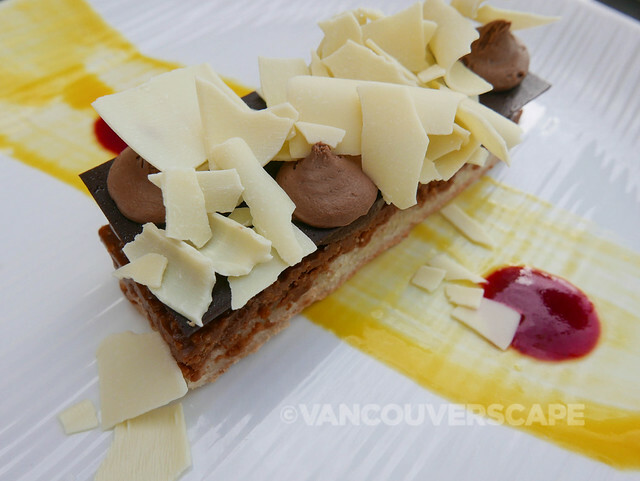 Non-watermarked images courtesy of Driftwood Kitchen and Selanne Steak Tavern.